Pets, Ponds, Fish and Beyond! 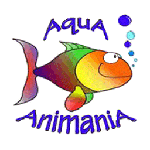 AquA AnimaniA carries thousands of different items for your aquarium, pet and outdoor pond care needs. At AquA AnimaniA you will find just about everything your pet can eat, sleep on, be groomed by, play with or wear all at competitive prices. For more information and detailed descriptions of the brands and products please stop by our store located in Windsor Ontario at 5467 Tecumseh Road East (corner of Rivard), call us at 519.946.AQUA (2782) or email us anytime.